Though the average bathroom isn’t comfortable enough to sleep in, it still provides an essential element of comfort to any home. At ProSource® of Hampton Roads, we are proud to provide a full array of bathroom remodeling products that empower trade pros and their clients to achieve the best results possible. Using the bathroom sink isn’t just a practical thing; it’s also an experience. 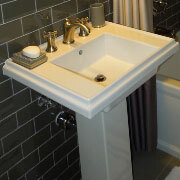 Your sink is an opportunity to define your bathroom as a whole. Whether you want something traditional or funky, ProSource of Hampton Roads has the depth of selection needed to give you the results you want. 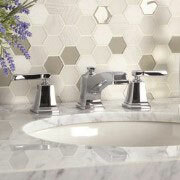 A sink can’t function without a faucet, and a badly-designed faucet is a pain to use. When you use ProSource of Hampton Roads while selecting your sink faucet, you are guaranteed to get excellent craftsmanship and inspiring variety. The shower can be a refuge from the world, and when it’s broken or old, it can make anyone want to get out as quickly as possible. When remodeling your client’s bathroom, you’ll want to install a shower that’s a pleasure to use. We can help. Having a place to store items out of sight is key to creating a peaceful, orderly bathroom that is easy to use. Your vanity is key here. 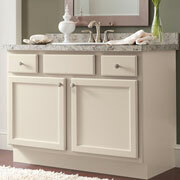 Let us help you and your client select a vanity, countertop, mirror, and accessories. 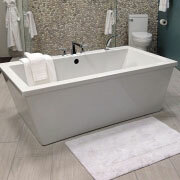 Tubs can be found in a lot of shapes and sizes, which is great news, because different people like different things! A remodel is a chance for your clients to install their favorite tubs, and ProSource of Hampton Roads is here to make the best results possible. 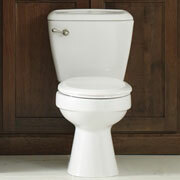 Nobody will argue with you when you declare that toilets just need to work. They can do a lot more than that, though, saving water, heating the seat, and beyond. Let the experts at ProSource of Hampton Roads help you and your client find the perfect unit!